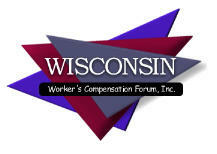 Wisconsin Workers’ Compensation Forum, Inc. has selected CompEvent.com for its online registration needs. The National Workers’ Compensation Defense Network has used WorkersCompensation.com for it’s past seminars, and will now use CompEvent.com for their two yearly seminars. Now attendees to ANY conference can discuss the events they attend in our new “Workers Compference” Group on LinkedIn. Ask questions, discuss events, or find out which conference is best for your needs. A subgroup of the highly popular Workers’ Compensation Roundtable.